The health and well-being of our elderly population is an issue that touches us all. With the ‘silver tsunami’ of aging baby boomers on its way, the need for outstanding home-away-from-home facilities is reaching a critical stage. Holy Family Home in Winnipeg, Manitoba is one of those exceptional places; providing loving, faith-based care in an atmosphere where everyone is treated as family. Like many non-profit residences for the elderly, the Home receives government funding for day-to-day operations. But the similarities end there. Holy Family has a unique history and cultural vision that makes their Home a true Godsend for the community. Holy Family Home was established in 1957 by the Sisters Servants of Mary Immaculate, a Ukrainian Catholic religious order founded 120 years ago in the Ukraine by Sister Josephata Hordashevska – “Blessed Josephata”. The Sisters have a world-wide presence in various ministries, including health care, long term care, and education. They believe they are here “to care for their people” – primarily, but not exclusively, the Ukrainian population. 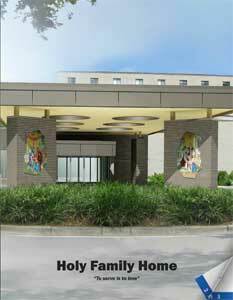 Traditionally speaking, Holy Family is a nursing home. Specifically, a residence for the elderly, many of whom are infirm and incapable of living independently. In Manitoba, it is called a Personal Care Home or Long Term Care Facility (LTC). Contrasted with “Assisted Living” (seniors who can live independently but may require support i.e. light housekeeping, meals, etc.) and Supported Housing (cannot live on their own, but are able to manage to some extent; not dependent enough for LTC). Persons seeking placement in a Personal Care Home must be assessed by the Winnipeg Regional Health Authority (WRHA) to qualify for admission. Typically, that means they would require 24-hour support and supervision, nursing care, and medical care. Individuals have the right to identify their preferred facility, anywhere in the province. If that choice has no vacant rooms, they may have to accept an interim placement while awaiting permanent residence in the requested location. The fact that Baby Boomers will reach the age of 85 by 2031 has become a system-wide problem. Holy Family Home has long recognized the need to plan for the future. 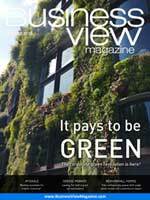 In fact, it is looking at a major expansion project, now in the final stages of design. “The Class A cost estimate was just submitted to the Manitoba government, who will provide 90% of the capital funding,” says Piché. “This $70 million project will allow us to build 157 new resident rooms, and includes a ’10-bed special needs unit’ for people with challenging behaviors. The building is expected to be fully operational by the spring of 2018. * 400 full-time, part-time and casual employees. * approx. 100 volunteers devoting 15,000 unpaid hours per year. Provincial government and WRHA provide 65 percen of operational funding. 35 percent comes from resident per diems. Residents pay on a sliding scale of $36 to $78/day, as determined by their last income tax return. Total yearly budget is roughly $20 million: $14.5 million from government funding. $5.5 million from resident per diems. Non-profit organizations receive 90 percent funding for capital projects from the Manitoba government (through approved borrowing and long-term financing). The owner is required to put up 10 percent. 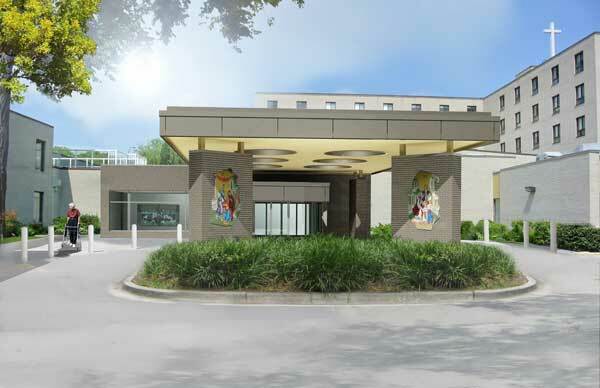 In the case of Holy Family’s $70 million project, $7 million must be raised by the owner. The Sisters have a Foundation in place that is implementing the capital campaign initiative. To serve is to love. Amen to that. WHAT: Non-profit Long Term Care facility for the elderly. Dedicated to caregiving in a loving environment based on Christian ideals. Primarily serving the Ukrainian / Slavic communities.